Our designer outdoor patio tables can make the most of the space you have. Due to their space-saving nature, they’re a good choice for smaller patios and apartment balconies. You can also make the most of big backyards by adding one or two outdoor patio tables, and some matching outdoor chairs to section off parts of your backyard. Have fun mixing and matching styles and colours. 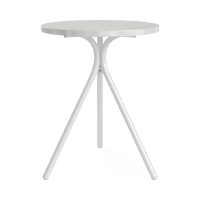 Whether you are looking for a traditional outdoor patio table or something a little more modern, our wide range is sure to please. Enjoy a spectacular view, canapes with friends, or your morning coffee from your café-style outdoor patio table, a must-have in every backyard, courtyard or balcony. Our premium outdoor furniture is durable and weather resistant. Rain, hail or shine, your outdoor patio table will still look good.